Audi’s much sought after e-tron is making its global premiere tomorrow in less than 24 hours after months of speculations and delayed launch dates. It harbingers a range of electric vehicles from the German manufacturer and could potentially determine the direction of the brand’s future. Following a lengthy teaser campaign, the electric SUV signals a new era with its flexible architecture spawning an assortment of EVs in different categories. 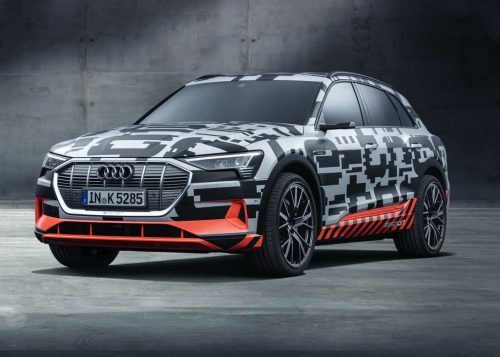 Audi was testing the e-tron for almost three years and had its share of setbacks in the meantime like the emission cheating scandal. However, Audi remained true to its roots and developed the e-tron with future electric mobility in mind. Rivalling against the likes of the established Tesla Model X, Jaguar I-Pace and recently unveiled Mercedes-Benz EQC, the Audi e-tron has a clever way of recuperating its braking energy and uses it for providing a high driving range on a single charge. 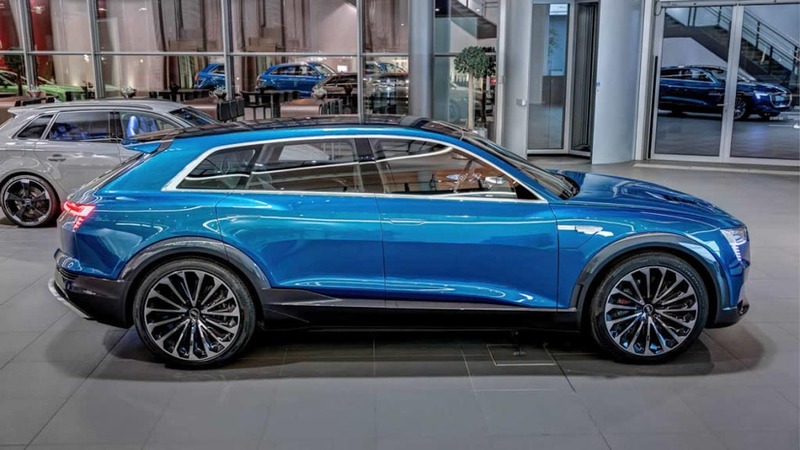 Customers in the United States can pre-book the e-tron for $1,000 and it boasts a striking exterior – way better than the EQC in our opinion with conventional design elements evolved into a sharper styling package. Extracting energy for a dual electric motor setup, it has a system output of 355 horsepower and 800 Nm of peak torque. The 95 kWh lithium-ion battery pack helps in a driving range of nearly 400 km on WLTP cycle while having zero to 100 kmph acceleration time of less than six seconds and a top speed of 200 kmph. The five-seater is engineered to charge with 150 kW DC high-speed public stations using the SAE Combined Charging System (CCS). The regenerative braking assists in boosting range by up to 30 percent and using a fast charger the e-tron can be charged from empty to 80 percent in approximately 30 minutes. With deliveries beginning from early next year, Audi is also targetting customers from emerging markets to drive the sales of the e-tron.